Driven by her deep love for the state and its people, Liz Moore works as the Executive Director of Montana Nonprofit Association (MNA). Growing up, she lived on a ranch in eastern Montana and continually returned to her home state, even after moving away as a teenager. “This gave me a fierce love for the community of Montana because I wasn’t always able to be here,” Moore says. She felt that she could work toward contributing to this place that had shaped her. Raised with a sense of responsibility to serve others, Moore wanted to find meaningful work that allowed her to do so. This desire led her to the nonprofit sector. Starting out, Moore worked in an anti-poverty organization that served children, teenagers and homeless youth. The people she served faced food insecurity, trouble paying their energy bills, and many other challenges. When Moore began working with this organization, she had already obtained her undergraduate degree in psychology, but she decided to pursue a Master’s degree of nonprofit management in the leadership track. When she was finishing her program in 2011, the Executive Director position at MNA became available. “I was fortunate to inherit a very strong organization,” Moore says. Since she joined the leadership team, the organization has continued much of the great work it was previously doing, but has added new programs as well. MNA had educational offerings in place that were one-day programs, and they have since been transformed into programs where MNA returns to communities several times to strengthen the local networks. Under Moore, MNA has also had a greater emphasis on next generation leadership. Moore notes the issue of workforce development nationally, and particularly within Montana. Many young people leave the state and do not return. However, she believes nonprofits have a particularly strong opportunity to bring in new talent. “Millennials are probably the most cause-oriented group since the 60s,” Moore says. “Nonprofits have a leg up in attracting this group.” In part due to Moore’s background, MNA has also focused on rural areas of the state, which she notes are crucial hubs for nonprofit communities. Though the organization has some programs online, MNA’s priority is hosting in-person events in these areas. “Our emphasis is on community, not just content,” Moore explains. Other local nonprofit support networks have surfaced across the state, but MNA does not see this as a threat. “We can’t be everywhere at once, and if other networks can help support nonprofits, then that’s all the better,” Moore says. In the year ahead, nonprofits will definitely need the support. Montana’s nonprofits, like many other across the country, are facing federal budget cuts, as well as their own state government’s cuts. Moore points out that nonprofits are already trying to serve more with fewer resources, and yet cuts still come. In these situations, she notes the importance for organizations to sharpen their focus. Nonprofits can take the opportunity to determine the areas where they can be most impactful. Working within the constraints of the sector can be difficult, especially with political decisions having such a strong influence over the nonprofit world. Moore says extremes on each side of the political spectrum seem to be funded by dark money that is not transparent, and society seems to be increasingly polarized. Yet MNA is centered at the middle. “We are rigorously non-partisan,” Moore says. “We are focused on the moderate middle, and protecting, promoting, and advancing civil society.” Nonprofits are particularly valuable because they can operate in the space where government and businesses do not. However, with tax exemption continually threatened in the public policy realm, Moore sees a shift in perspective about the societal value on the work of nonprofits. “Tax exempt status honors [how much nonprofits give to communities] and indicates that we respect the value of nonprofits doing what government can’t do and businesses won’t do,” Moore says. “Nonprofits do their work in partnership with business and government, and each sector is stronger in some areas and weaker in others.” For Moore, the tax law threats indicate a lack of understanding regarding what nonprofits contribute. Often, people recognize what factors create a healthy environment for businesses, but do not understand nonprofits also require a healthy operating environment. If Moore could change anything in the nonprofit world, it would be to increase awareness of the value nonprofits bring to communities and society. “I want legislators to be able to say, ‘Why would we make a decision that would hurt the nonprofit sector, when they are doing all of these things for our communities?” Moore says. To see this vision become reality, MNA will continue working in legislative advocacy. In 2019, the organization will work toward renewing a tax credit for philanthropy. The organization seeks to understand the specific issues facing their members and tailors services toward what will help the most. 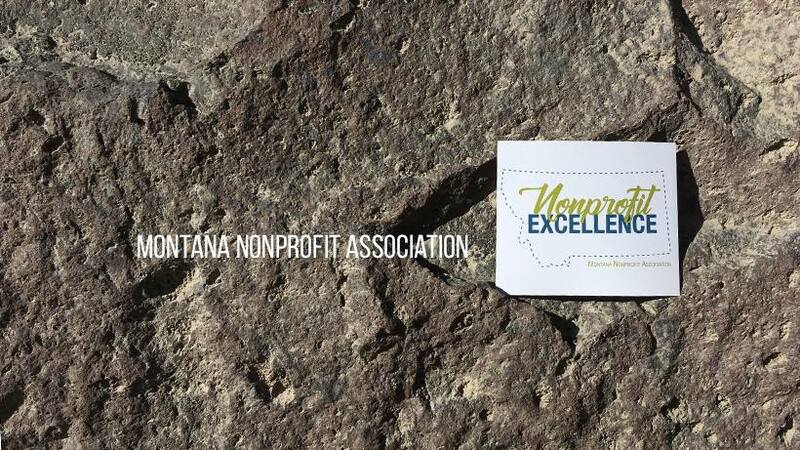 In the midst of any difficulties to come, Montana’s nonprofits should know that MNA exists as a resource for them.